Erik Hall has spent four years working to create his new album Driver, and his hard work has finally paid off. The album presents itself as a relaxing pop and folk combination with heavy synth use. 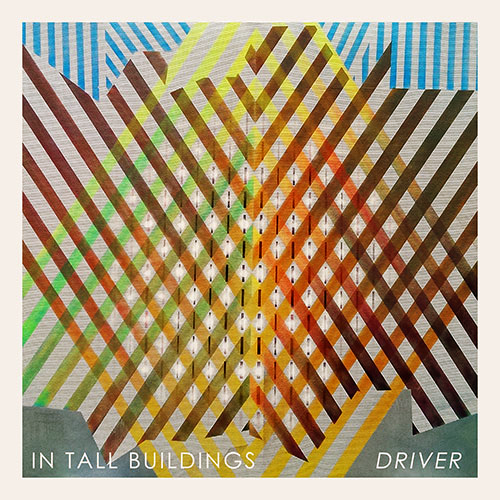 Driver shows how far Hall has come as an artist since his first album In Tall Buildings, and how he has progressed as both a writer and musician. “Pouring Out” comes across as an extremely atmospheric song. The vocals sound distant and hide behind the gentle tapping of the drums. The combination of synth and guitar make for a relaxing combination and puts the listener at ease for the duration of the song. “Unmistakable” changes it up with a funky guitar and ambient synths. The vocals of Hall pick up and sound more spirited rather than hidden. The guitar also adds some punch to the songs with some power which is unalike to some of the other songs on Driver. “Flare Gun” has an electronic vibe mixed with some traditional folk elements. The organ is a nice touch and is not usually utilized as a folk instrument. Once again Hall’s vocals become a prominent part of the song with their angelic echoing throughout. Driver is the fruits of Erik Hall perfecting his craft. It has been four years since the release of his first self-titled album, and Hall has gone nowhere but up. Hall uses his encounters with loneliness over the four years spent recording Driver to help create a story for the album. Hall’s poppy and atmospheric music is something to witness and to experience.